Monisha Das from Other, B.A Graduate. 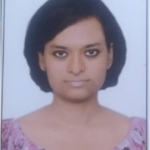 Monisha Das is MBA-HR and currently have no work experience. TALENET ACQUISITION TRAINING & DEVELOPEM.. RECRUIMENT EMPLOYEE ..
are one of expert skill area's of Monisha Das . Monisha Das is working in Human Resources industry.